Gatling Gold Mine 1872, water colour, pen & ink by C. Walker, now in the R.O.M. Isabellaand George Davidson were residents of William's Mine (Lot 7 Conc. 9, Marmora Twp) arriving by wagon from Belleville c.1870. Also living at Williams Mines (also known as Lower Deloro) were Mr. & Mrs. Edward Archer and son, William Archer, born 1874. After the discovery of gold at Eldorado in 1866, a great amount of activity was shown in the Deloro area with at least 25 shafts being sunk on the site. The Severn mine (Pearce Mine) which is located on the east side of the Moira river was supposedly opened in 1868. Canada Consolidated obtained the property in 1880 and spent extravagant sums of money in buildings and plants but made a complete failure in treating the refractory mispickel ores (arsenopyrite) by their chlorination process. In 1883 expenditures reached 200,000 dollars, work was suspended and the personal property of the company was sold under execution. Work continued two years longer under lease and then given up as a complete failure. Arsenic production is reported as 440 tons in 1885, 120 tons in 1886 and 30 tons in 1887 etc. There is no mention of gold having been recovered. In 1901 the number 3 level was 426 feet 3 inches long and the number 4 level was 393 feet 6 inches long. There was extensive cross cuts as well as working in the Tuttle and Red Shafts. The ore was worked exclusively for the gold and the arsenic was purely a by-product. It should be noted that the tailings from the previous operations was successfulIy reworked using the new process. The"Report of the Ontario Bureau of Mines-1901 ", page 115-116 states"At the presenttime the arsenic plant is undergoing complete reconstruction for the purpose of securing a large yield at reduced cost per ton. The difficuIties formerly experienced at Deloro from the loss of arsenic andthe consequent imperiling of livestock in the vicinity, have been entirely overcome by modifications etc. No cases of arsenic poisoning have occurred, great care being observed to precludeaccidents of this sort". In 1901, this was the only arsenic producing plant on the American Continent manufacturing arsenic (99.4-100% pure AS2 03) on a commercial scale. Production was 50-60 tons per month and 700 tons (valued at $42,000) was sold in 1901for use in pesticides, fertilizer and even cosmetics. On Sunday morning about 4 o'clock fire broke out in the big mill belonging to the Canadian Gold Fields Co. at Deloro. The fire originated from the drying machines, where the men left fire at 12 o'clock, midnight, and went home. There was a big wind blowing, and one of men was awakened near by and went in to try and save some precious belongings, and he states the whole inner partitions were all ablaze when he got there. It is said that the mill was insured for $41,000. The company was just erecting a new crusher in the same building, and in- tended to operate the machine this week. It is said that there was a quantity of gold under treatment in the laboratory, about $8000. worth. The laboratory was a complete wreck, not 'one thing being saved. A pair of scales was burned valued at $250. About 30 men were thrown out of employment. Loss estimated at $75,000. The insurance was with Norwich Union. Also, it is reported that for the first time in the world the Harris Air Lift was used for dewatering mines at Deloro. In 1902 the mine was flooded and eventually pumped out because the company needed all the arsenical ore from the area to make a profitable recovery. Canadian Goldfields continued until 1903 and had recovered over $300,000 worth of gold and arsenic. From 1899 to 1904, the Atlas Gold and Arsenic Mining Co. (Gatling 5 Acres Shaft) also took out substantial quantities of these materials. In the fall of 1903, silver deposits were discovered at Cobalt, Ontario, and by 1904 efforts had been made to resume production at Deloro using the Cobalt area ores. By 1905 the 0'Brien Mine (owned by M. J . 0'Brien) was in production and by 1906 severaI mines were producing with 5,335 tons of ore being shipped. The ore contained 160 tons of nickel, 321 tons of cobalt, 1440 tons arsenic and over 5 miilion ounces of silver. The mine owners received no payment for the cobalt, nickel or arsenic. The Deloro Mining and Reduction Company was incorporated in 1907; the same year in which Canadian Goldfields Limited was dissolved. Just as the Canadian Goldfields mining operation was facing ruin because of its flooded mine, a complex ore of silver, cobalt, nickel and arsenic was discovered in the fall of 1903 at Cobalt in Northern Ontario. Mining began in 1904. Rail connections between Cobalt and the southern Ontario network were completed in 1905. This ore, like that at Deloro was an arsenopyrite. The silver was by far the most valuable component of the ore but arsenic was the largest constituent by tonnage. As mined in 1904, the ore, by weight, consisted of six percent silver, 13 percent nickel, 15 percent cobalt and 66 percent arsenic. Aug. 29 1907 A new 150 h.p. gas engine weighing 9 tons is being installed in the new Cobalt Plant at Deloro. Gas will be manufactured direct from coal on thespot and also the coke used in refining arsenic. FEB. 10, 1910 It is alleged that Deloro Works have been systematically robbed for some time. Three arrests have already been made and a considerable quantity of refined silver and silver ore have been found. The Crown is taking active measures to protect the property of the Company. SEPT. 19, 1910 On Wednesday of last week The Deloro Mining & Reduction Co. expressed $44,000.00 silver in 70 lb bars on Central Ontario Railways. This is just an average weekly shipment. The arsenic by-product is also very favorable. After gold mining shutdown at Deloro, the General Manager (Peter Kirkegaard) had kept the mill open doing custom work for other area mines. At the same time Dr. S.F. Kirkpatrick, head of the Mining School at Queen’s University and a metallurgical consultant for Canadian Goldfields, continued his research in refining arsenical ores. The two men believed they had both the technical expertise and the physical plant to refine the Cobalt ores. 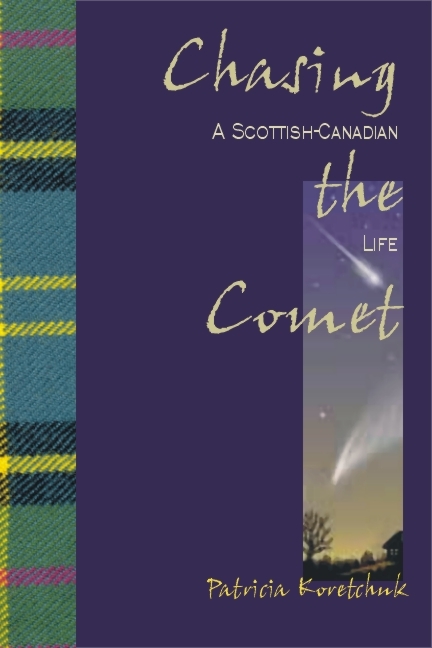 They contacted Michael John O'Brien, a very successful colourful Renfrew businessman with a passion for money and hockey, later railway contractor and mine speculator who had acquired some of the most valuable Cobalt mining areas. O’Brien was convinced to invest $75,000.00 in a small plant at Deloro that was completed in 1906. The refinery began operating in 1907 and the Deloro Mining and Reduction Company was incorporated to operate the property. In 1910 when cobalt began to show possibilities in the world market, O’Brien expanded the plant to produce both cobalt and nickel oxides. Kirkpatrick convinced the Ontario government that they should fund his research on cobalt at his lab at Queen’s. The new cobalt plant required additional electrical power. The original, steam-driven generator, installed by Canadian Goldfields in 1900 was shut down in 1909. Electricity was instead purchased from the Seymour Light and Power Company’s hydroelectric plant located 35 km away at Campbellford. The Bishop Construction Company of Toronto, was awarded the contract for the erection of a substation in Deloro. It is assumed that the concrete transformer building that still stands in 2011 was built in 1909 when this change-over occurred. "A spur line is being surveyed from Marmora Station on C.O. Railway to Deloro. A road will be built on which to ship ore and coal." Inexplicably, the Deloro smelter did not receive a rail connection until 1913. All ore was brought by rail from Cobalt to Marmora Station and trans-shipped into wagons for the two kilometre trip to Deloro. Possibly, the quantity of ore received was initially not sufficient to justify the cost of the spur line. Possibly, O’Brien was being cautious and not investing more than absolutely necessary until both the metallurgical process and markets for cobalt were well established. Cobalt prices were quite volatile in this period. Prior to the Canadian refining of cobalt ores, cobalt oxide wasselling at $2.50 per pound. Production from the Cobalt district soon glutted the market and by 1912 the retail price quoted in New York was about 90¢ per pound and in England about 68¢. The Coniagas Reduction Company and the Canadian Copper Company were the two main competitors for Deloro. The Coniagas Company, wholly owned by the Coniagas Mines Limited of Cobalt, Ontario, opened a smelter at Thorold, Ontario, in 1908. The company operated successfully for a number of years. Conversely, the Canadian Copper Company closed its cobalt plant in 1912 as a result of the collapse in cobalt prices. Mr. Haynes gave his discovery the name Stellite, which is derived from the word Stella, the latin word for star. Deloro had one advantage over its competitors in that it also sold a cobalt product called Stellite, as well as cobalt oxide. In the early 20th century, an entrepreneur in Kokomo, Indiana, Elwood Haynes, began experiments to develop a stainless metal. In 1907 he patented an alloy of cobalt, tungsten and chromium that he called Stellite. Since Haynes required cobalt, the only place he could get it in large quantity was from Deloro. Thus in 1912, as the price of cobalt oxide deteriorated, Deloro Mining and Reduction began producing high-value Stellite under contract to Haynes. The demand for Stellite varied considerably in the early years. During the First World War it was in high demand for military uses but after the war the demand shrank considerably. In 1919 the son of M.J. O’Brien, Ambrose, went to England to explore markets for cobalt and Stellite. One result of his visit was the opening of a Stellite plant in Birmingham. Deloro became the world’s leading cobalt producer in 1924. 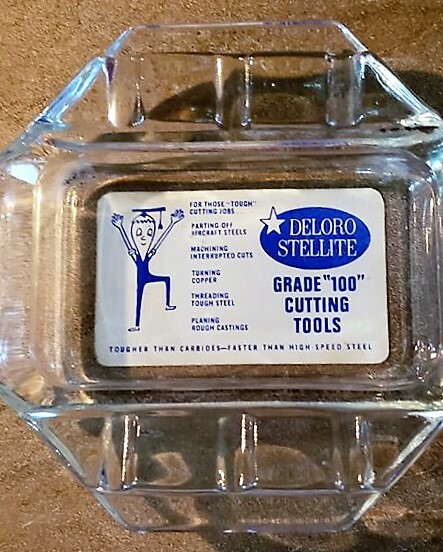 Stellite is still manufactured today by Deloro Stellite, a multinational company that had its origins with the Deloro Mining and Reduction Company. In 1909 Hydro electric power lines were installed from the Trent River and a railway spur line connected Deloro to the Central Ontario Railroad in 1913. The results of experimentation by M.E. Haynes and Prof. H. T. Kalmus of Queens University was applied in production and in 1914 Deloro manufactured the first cobalt metal (226,079 Ibs.) to be produced commercially in the world. This led to the production of stellite a much sought after war material. A foreigner, who went by the names of Hill and also Lappe, came up before Judge Deroche on Wednesday of last week for stealing a quantity of silver from Deloro Mining & Reduction Company. He was sentenced to the Provincial Reformatory for two years less a day. The Safety First Committee of the Deloro Smelting and Refining Company, with R. A. Elliott as chairman, continued a very active campaign against accidents during 1927. They were successful in reducing the number of compen- sated accidents for the year to five. There are approximately 362 employees. This reduction in the number of accidents and lost time was due to co-operation of the management and employees with the safety committee. Each accident was carefully investigated and classi- fied under one of the following causes : faulty equipment, wrong method of work, carelessness, doubtful or accidental. Cash prizes were awarded to 33 employees for worthy suggestions. Three foremen for departments received rewards for the best no-accident record of the year. In 1916 the company' s name was changed to the Deloro Smelting and Refining Co. By 1917 the company employed 400 men in a series of plants destined to irretrievably pollute the stretch of the Moira River they sat along while manufacturing refined silver, refined arsenic, Cobalt oxide, metallic cobalt, nickel oxide and stellite. On 25 March, 1920, 96 railroad cars of silver weighing over 8,500 pounds left Marmora Station heading for China. This packing crate was owned by John (Jack) and Olive Vincent from Beaver Creek. It's now owned by their Great Granddaughter, Lorilei Wells Mayhew, who submitted the photo. Dwindling world markets for cobalt in the 1920's lead to large scale layoff, however when several silver mines closed in Cobalt, Ontario, after 1929, the silver cobalt ore was shipped to Deloro and stockpiled. This kept the company operating until World War II when the demand for cobalt boomed. Also from 1932 to 1937 the hand cobbed ore shipped by the Eldorado Mine at Great Bear Lake, North West Territories to its Port Hope refinery, along with the residue from the refinery, was sent to the Deloro Smelter for re-processing. By 1940 wartime events were secretly brewing which made it inevitable that Canada's help would be sought as a supplier of materials essential in the making of an atomic bomb. The Eldorado Mine uranium deposits at Great Bear Lake were among the richest in the world and their facility at Port Hope, Ontario, was the only uranium refinery in operation in North America. And as it happened, Port hope also had a substantial stockpile of uranium oxide, a fortuitous by-product of radium refinery, later used by the US military in the production of the atomic bomb. Deloro once again was a facility for re-processing, this time, uranium ores. Interestingly, a Deloro employee, Harry Simpkinson, moved out to Trail B.C., where "heavy water" was being produced for the US military. The poignant and powerful documentary, produced by Heather Hawthorne, which is available at area libraries and at Trent University, was completed in 2012, was first screened at a public information session in Deloro. During World War II Deloro was also the only cobalt plant in North America and operated mainly on cobalt-copper-iron alloy residues from Northern Rhodesia plus a supplementary supply from the Belgium Congo. No Canadian concentrates were treated as the imported ores were more highly concentrated. On Sunday evening, June 20th,a fire occurred in the Oxide Plant at Deloro which resulted in quite a heavy loss and might have had very serious results. The fire is reported to have been caused by a break in one of the oil pipes. The oil became ignited and caused a spectacular blaze. The roof of the Oxide building was quicklydestroyed and about everything that would burn in the building. The railroad locomotive, which was on the track beside the building was also destroyed. Fortunately no loss of life resulted and while the loss is heavy it will be covered by insurance. As a result of the fire part of the operations at the plant will be interfered with for a time, but the building and plant will be replaced or repaired as soon as possible. Councillor Linda Bracken presented Hawthorne with a framed certificate of appreciation from the municipality, recognizing her achievement and thanking her for her "determination, compassion and enthusiasm to make sure the history of the Deloro Mine Site is preserved. 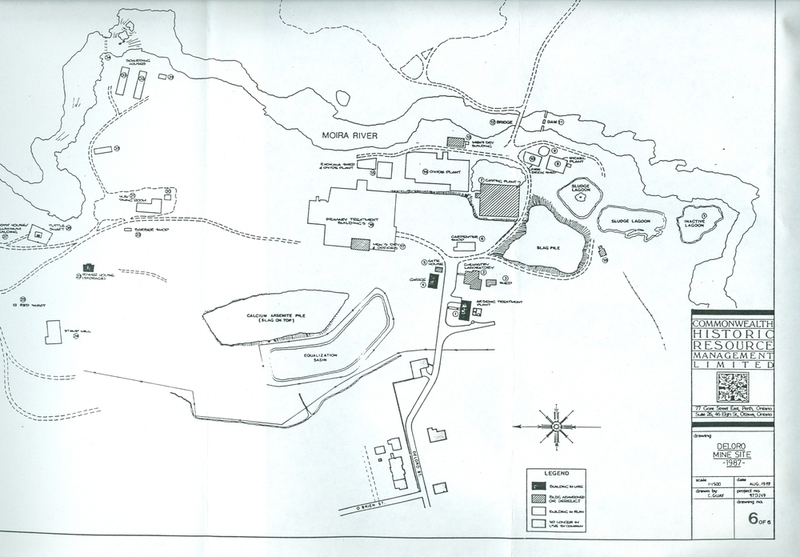 Following World War II the Deloro Smelter went back to treated ores and concentrates from Cobalt, Ontario but at a reduced rate. From 1944 to 1952 the Deloro Smelter treated the 19.7% speiss residue from the Port Hope refinery and a smaller quantity of hand cobbed cobalt from the Eldorado Mine. Eight lean years followed. The Korean War and United States Gov't contracts for the treatment of Moroccan ore kept the plant operating full strength untiI 1958. The company employed as many as 500 workers. A water sprinkler system was also installed in 1917. The tall water tower became a prominent landmark. However, the system did not stop a fire in the spring of 1919 when the engineer’s office, carpenter shop, and weigh scales were destroyed. Presumably these buildings were not provided with a sprinkler system. In the fall of the year, the Twenty-Stamp Mill, powerhouse, and concentrator – which were being used as storage, also burned. Only the laboratory building survived. This group of buildings were far removed from the main mill. At about 1918, O’Brien acquired a cobalt refinery at Fredericktown Missouri; the only cobalt refinery in the United States at the end of the First World War. The company was bought on the recommendation of S.F. Kirkpatrick, the Managing Director of Deloro Smelting and the metallurgist who had perfected the refining of arsenical gold ores for Canada Goldfields. Unlike the Cobalt, Ontario, ores, those from Missouri were sulphide and required a different smelting process. The success of arsenic production at Deloro into the 1920s was driven by the demand for insecticides; particularly to control the boll weevil crisis. By 1922, 87 percent of the cotton producing areas of the United States had been affected by the weevil. Calcium arsenate was determined to be the cheapest and most effective method for controlling the insect. Deloro began producing lead and calcium arsenate. By 1919 the demand was such that the company constructed a separate insecticide plant and the following year the Deloro Chemical Company was incorporated. The company also produced various cobalt compounds including cobalt sulphate, acetate, nitrate, chloride, hydrate, and carbonates. The global price of cobalt metal fell dramatically with the opening in 1925 of large copper-cobalt deposits in the southern province of Katanga, in the Belgium Congo (today the Democratic Republic of the Congo). Katanga cobalt could be produced cheaply since it was a by-product of copper refining. Deloro Smelting was selling cobalt metal at $2.35 per pound; the Belgian company in Katanga charged $1.25 per pound. Fortunately (for Deloro) before competition became ruinous, the Belgian company experienced refining problems. Kirkpatrick was able to negotiate an agreement by which Deloro Smelting would provide technical assistance and the Belgian company agreed to split up the world market; in other words form a cobalt cartel. During the late 1920s, the supply of silver-cobalt ore from Cobalt began to diminish. By 1929 Deloro’s smelting operation was curtailed by the lack of ore supplies. Depressed markets caused by the onset of the Depression minimized the effects of the dwindling ore supply. In fact, in 1930 Deloro Smelting started to stockpile cobalt for future use. Stellite production provided a partial cushion for the lack of markets for cobalt metal in general. 1939 Deloro Smelting & Refining Co display, Joseph Hulsman Sr.
With the decline of production from Cobalt, Ontario, Deloro Smelting began to import cobalt ores. The cartel that began with the Belgian company in Katanga was expanded in 1932 to include a Northern Rhodesian (today Zambia) company, known as the Rhokana Corporation, and later a company working in Morocco. In 1935 an association of German cobalt producers joined the “trade pact” and a Finnish company followed the next year. A new domestic source of cobalt became available at Deloro when, in 1933, Eldorado Gold Mines Limited(despite its name) completed a refinery to extract radium at Port Hope, Ontario.The process produced a radioactive waste that contained 3.5 percent cobalt. The Port Hope refinery concentrated this waste into a speiss with 12.75 percent cobalt that was then shipped to Deloro for further refining. This source of cobalt speiss apparently produced the radioactive slag found on the Deloro Mine Site today. With the onset of war, in October 1939 the Belgian company and Rhokana Corporation asked Deloro Smelting to take up their refining obligations. Ore from both companies was processed in Belgium. When the country was invaded by Germany in May 1940, Deloro Smelting had to modify its refining process as the Rhokana ores were 40-44 percent cobalt compared to the ten percent ore from Cobalt, Ontario. The new ores also did not contain arsenic which seems to have accounted for the reduction in arsenic production during the 1940s. Cobalt became a strategic metal during the Second World War. As an indication of its importance, Deloro Smelting completed a new research laboratory in 1940. A new chemical laboratory and sample room were constructed one or two years later. In 2011 the research laboratory still stands and is used as the arsenic treatment facility; the chemical laboratory has been demolished. In 1942 a United States Government agency, Metal Reserve Company, contracted with Deloro Smelting to supply 7,000 tons of cobalt concentrate. When the contract expired in 1944 the government changed its policy and stockpiled the concentrate at the Deloro smelter property. The stockpile was moved to New Jersey between 1947 and 1948. The following year the United States government decided to add to their stockpile by purchasing 60 tons of cobalt a month from Deloro Smelting. The contract lasted until 1958. By 1959, the Deloro plant had a capacity of only 35 tons per month. Thus the existing facilities had to be rebuilt and expanded. In 1958 the Canadian government also decided to purchase cobalt and stockpile it at Deloro. Click here to read R.G. Walsh's 1953 Chamber of Commerce Speech on "Cobalt"
During the era of Deloro Mining and Smelting, the former mining area north of the industrial plant was used for a variety of industrial activities and for workers housing. The laboratory that had been associated with the Canadian Goldfields continued to operate for some years. An insecticide building was completed. The area also contained two bunkhouses, a kitchen and dining room. Although the Deloro Smelting and Refining Company plant had been rebuilt in the early 1950s and the company continued to flourish, the rural, isolated location of the industry became a growing liability. Fewer people were willing to work within the company town environment of Deloro. As well, the company itself had become part of a larger international operation. WAS THE HERALD UNION BUSTING? The strike of employees at DeIoro Smelting &. Refining Company Limited ended the latter part of last week, but the effects are liable to last for a considerable time. It may be easy to close down a plant like Deloro in a few days, but getting it ready for production again and resuming business operations is a very different matter. A copy of the basis of agreement between Deloro Smelting & Refining Co. Limited and the Mine, Mill and Smelter Workers Union appears in another page and the more employees study it, the more they will realize they were taken for an expensive ride by the Union, with neither pleasure or profit at the end of it. The agreement shows that all the employees receive for the next year, over and above what was offered before the strike began, is one extra holiday, while the company pays the difference between the former insurance premiums, and the new one. Had the Union approached the Company in a conciliatory manner before the former contract expired, instead of demanding a 40 hour week and 40 cts. an hour increase in wages before they would consent to negotiate, they could have got the 10 cent increase offered before the strike began. The 10 cents an hour would have meant about $100.00 extra since June 1st , and the saving of around $200.00 they lost by the strike. In fact, before operations can be resumed on a full scale, some of the men may lose a good deal more in wages. After a year employees are to receive an extra 5 cents an hour and a 42 hour week, but to the majority the extra time will be of no value. The contract runs until June 1st, 1954, which, means there will be no opportunity for further negotiations before that time. Judging by the time wasted throughout the plant in recent months, in talk and arguments about Union affairs, the Company will save a lot more than the 5 cents an hour in having the agreement run to June 1st, 1954. Most of the employees realize now how badly they were mislead by the Union, both in promises of strike pay and benefits while a strike was in operation, and also in claims of what could be accomplished by a strike. It will take years to make up what they have lost as a result of the strike. Employees who are dissatisfied with the conduct and results of the strike have the privilege of notifying the company, within seven days of the Signing of the agreement, that they wish to have deductions from their pay cheque for union dues discontinued. That would be one way of making a small saving each month and help get rid of Mine, Mill and Smelter Workers Union. Another thing that is making Union members angry is the discovery of the amount of the Local 889 funds that have been used for the benefit of some of the local executive before and during the strike. In 1956 some of the operations were moved to a new facility in Belleville in order to be closer to schools, transportation, and an urban environment that would attract skilled employees. In 1961 the Deloro Mining and Smelting Company completely shut down its Deloro plant. Fifty years of refining and smelting arsenical ores at Deloro had contaminated the land. However, a broad public awareness of environmental issues was still in its infancy in the 1950s. At that time the Deloro plant was still an economic boon to the region. Only during the 1960s did the environmental concerns begin to become evident. The corporate lineage of the Deloro Smelting and Refining Company Limited continues to the present. In 1970 the company was purchased byBritish Oxygen and its name changed to Deloro Stellite Limited (later Inc.). Deloro Stellite Inc. in Belleville was part of a multinational firm known as the Deloro Stellite Group Limited which produced specialty steel alloys using cobalt. Today, the company is known as Kennametal Stelite Inc., having been purchased by an American firm.